Grew Up... an orphan. 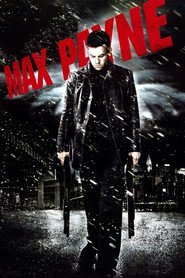 Max Payne had a hard childhood thanks to his alcoholic mother and traumatized Vietnam veteran father. They both died while he was still young. He did love his grandfather, though. Living... in New York. During the '80s, after joining the New York Police Department, Max started building a life in the city and living his own “American Dream.” He married Michelle and bought a house in the New Jersey suburbs. Profession... undercover DEA agent. Max was eventually promoted to detective, and worked on some high-profile cases. But after a drug-related attack on his family, he joined the DEA to get revenge. Interests… drugs. Later in life, as Max began to fall apart, he developed crippling drug addictions, mostly to painkillers. Relationship Status... widower. Michelle was the love of Max’s life, and being married to her made him the happiest he had ever been. However, after a home invasion leaves both her and their baby daughter Rose dead, Max is shattered. The only woman he has now is femme fatale Mona Sax. Challenge... cracking the Valkyr case. Whoever was behind the murder of Max’s family is affiliated with the mysterious “Valkyr” drug epidemic. So that’s the mystery Max must solve. But with the Mafia pursuing him, as well as the police after he is framed for the death of his own partner, finding the answers won’t be easy. Max Payne's popularity ranking on CharacTour is #733 out of 5,000+ characters. See our top-ranked characters and read their profiles.